Does Skills Lead to Knowledge or Knowledge Leads to Skills? Education or Knowledge is gaining information about a subject whereas; skill or ability is the efficiency developed through experience. Education and ability both are vice versa. However, learning leads to skills because if a person has sufficient information about a subject, then only a person can develop skills through the transfer of knowledge. That is why the theoretical understanding of a matter is essential to be an expert in a profession. However, there also exist people in the world who are God-gifted. They are born with some extraordinary skills which make them a successful and renowned personality. The bitter truth is people with an exceptional skill set are rarely present on this planet earth. 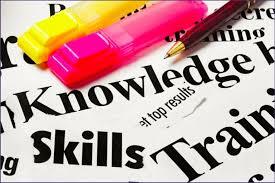 Since the count of talented people is almost negligible, that is why in most cases knowledge leads to skills. I think they are independent and interdependent dependig on an individual and his scenario. But i loved the article. great. Thank you for your appreciation. Yes, everyone has a different perception. Depending on the perception of a person some people think both knowledge and skills are vice versa. Whereas, some think they are independent.